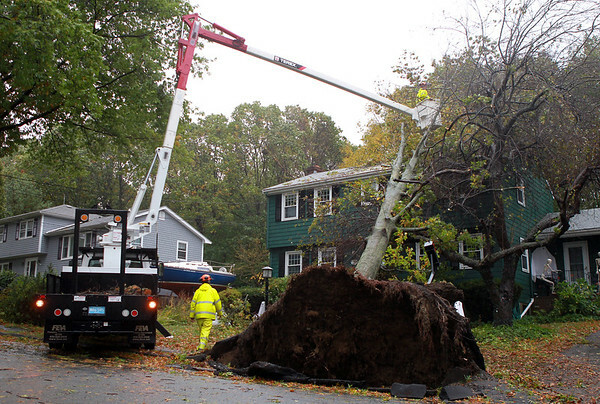 A large tree was ripped out of the ground and fell on 18 Dodge Road in Marblehead as a result of the strong winds during Thursday's storm. DAVID LE/Staff photo. 10/23/14.